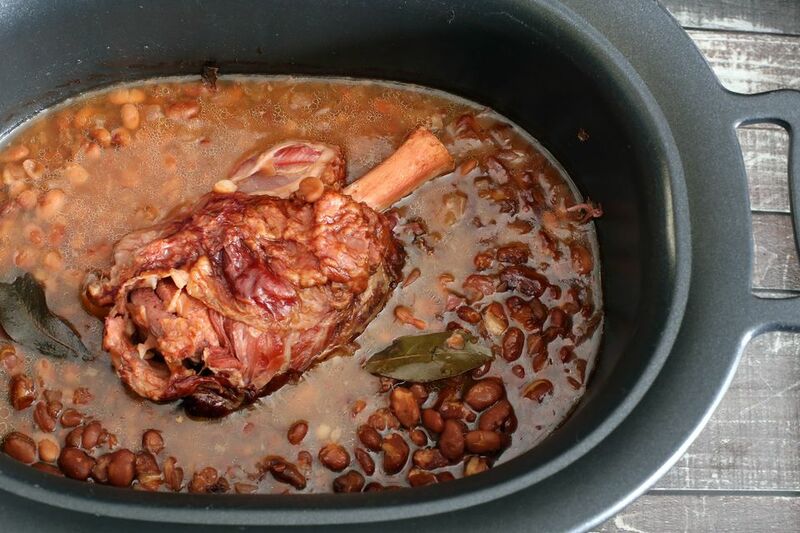 The slow cooker is an excellent way to cook all kinds of dried beans. I usually add salt and any acidic ingredients after the beans test tender, but many people say they have no problem with beans softening even when they add these ingredients first. If you regularly have trouble getting your beans to soften in the slow cooker, you might try simmering them on the stovetop until tender before you begin the recipe. Or try cooking them on the HIGH setting instead of the LOW setting. To soak or not to soak. Soaking small beans like lentils and split peas isn't usually necessary, but soaking larger dried beans (with a little baking soda if your water is hard), while not necessary, helps to shorten the cooking time. An alternative to the overnight soak is the "quick soak." Put the rinsed beans in a pot with water to cover (about 2 inches over the beans). Place the pot over high heat and bring to a boil; continue cooking for 1 minute. Remove the pot from the heat, cover with a lid, and let the beans soak for 1 hour.